DASH Diet: This diet focuses on whole foods rich in fruits, vegetables and whole grains while limiting trans and saturated fats. Check it out at http://www.dashdiet.org. Salt Restriction: Individuals with high blood pressure are encouraged to limit their sodium intake to 1500mg/day. Foods high in sodium include proccessed/packaged foods, soy sauce, pickles, lunch meats and other processed meats, frozen meals, and canned and instant soups. Find out more here. Calcium: Dairy products, tofu, canned fish (with bones), enriched orange juice, enriched soy milk, dark leafy veggies, okra, seaweed, figs, beans, molasses, and fortified grains. Potassium: Coconut water, melons, bananas, potatoes, tomatoes, beans, dried fruit, orange juice. Magnesium: Dark leafy greens, lentils, and whole grains, nuts, soybeans, halibut and oatmeal. Omega 3’s: Emerging research shows an inverse relationship between omega 3 fatty acid intake and blood pressure. Good sources include fish, seaweed, flax seeds, chia seeds, soy and nuts. Garlic: A limited amount of research suggests that garlic can help decrease blood pressure. It is thought to increase nitric oxide production resulting in smooth muscle relaxation and vasodilation. Soy: Some research supports the link between eating soy and lowering blood pressure, especially when substituted for meat. Cocoa: Do you need another reason to eat chocolate? Look for dark chocolate with at least 70% cocoa content and remember moderation! Wheat Bran & Blond Psyllium: A small amount of research suggests that these fibers may help decrease blood pressure. Remember to add fiber into your diet slowly and drink plenty of water to prevent GI distress. Limit Caffeine: Caffeine can temporarily increase blood pressure and some experts recommend limiting your caffeine intake to 200 milligrams a day — about the same amount as in two 12-ounce cups of brewed coffee. Talk to your doctor about whether you need to limit or stop drinking caffeine. Limit alcohol: A glass of wine can actually have some health benefits but remember moderation is key! Moderation is defined as no more than 2 drinks per day for men and 1 drink per day for women. 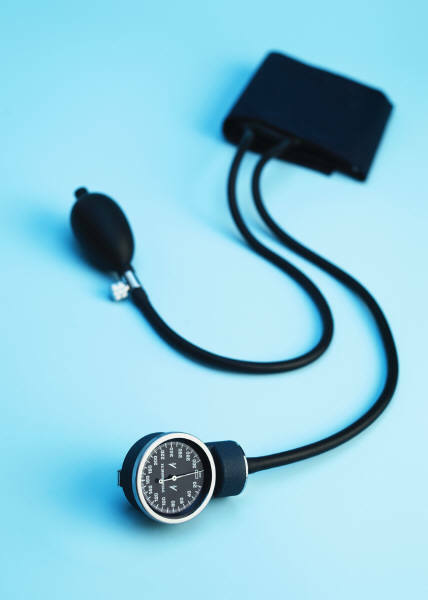 CoQ10: Some research suggests that Coenzyme Q10 may be lower than normal in people with hypertension and may improve blood pressure when used in conjunction with conventional drug treatment. Caution in people with cardiac arrhythmias. Talk to your doctor before starting any supplements. Manage Stress: Feeling overworked, worn out, tense? Most of us have a lot of stress in our lives but being able to manage it will reduce it’s negative health effects, including increasing blood pressure. Have you tried meditation, deep breathing techniques, journaling, yoga, exercise or therapy? It doesn’t matter which techinque you choose as long as it works for you. Get Regular Exercise: Being more active can reduce your systolic pressure (the top number) by 5-10 mmHg. Don’t like going to the gym? No problem, how about taking the stairs instead of the elevator or walking the dog? Here are 100 ways to add 2000 steps a day. Always ask your doctor if you are healthy enough for exercise before starting a new exercise routine. Hope it helps. Thanks aging for sharing with us! I can’t wait for your next post!